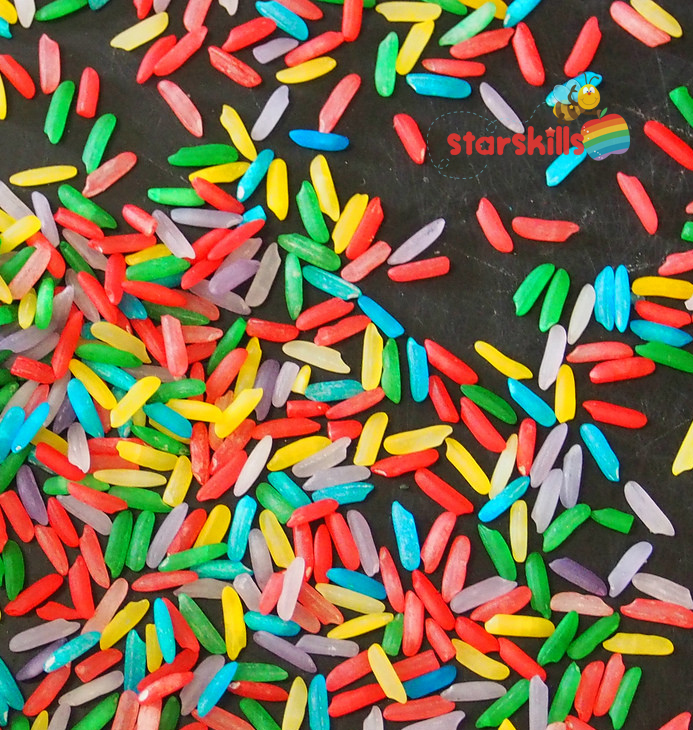 Rainbow Rice is an inexpensive and fun addition to your sensory play. You can add funnels to the tray with cups and spoons, add it to plain uncoloured play dough. It is easy to make so here is how to do it. 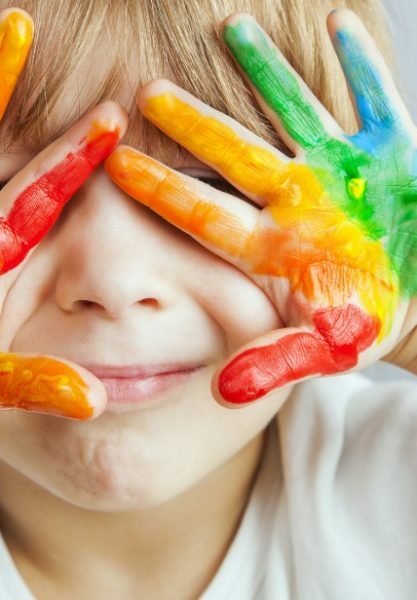 Simply place rice, vinegar and food colouring in a container. Mix it gently with a knife. Place plastic lid on container and shake away! 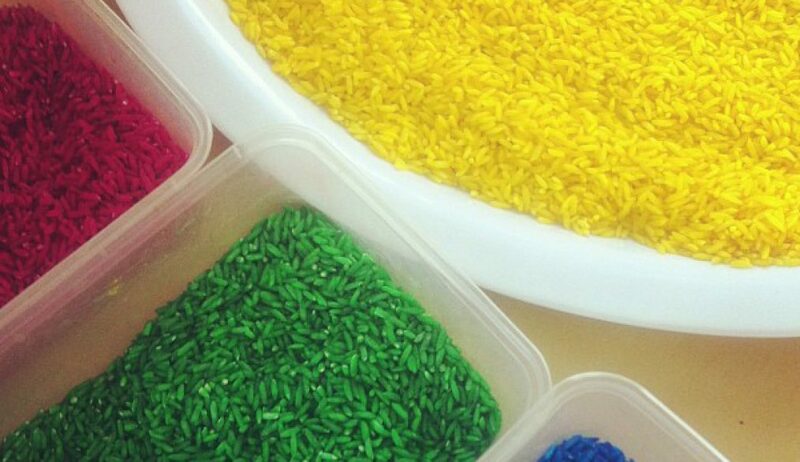 Place coloured rice onto a baking tray for a few days.